I have been writing about Pinot Noir for over 13 years, and only recently came across Pinot Noir Précoce. An article in the magazine, The World of Fine Wine, titled “Pinot Noir Précoce: An Almost-Identical Twin with a Distinct Personality” written by Anne Krebiehl MW (Issue 47, 2015), was a real surprise. Apparently, Pinot Noir Précoce is a spontaneous mutation of Pinot Noir (the grape is known to have that proclivity). 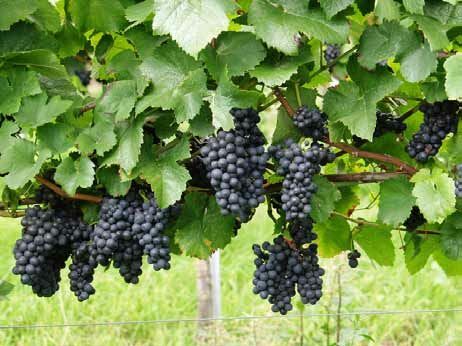 Also known as Pinot Madeleine or Frühburgunder, the mutation is thought to have occurred in Germany in the late 15th century, but the exact origin remains a mystery. It is an officially recognized grape variety in Germany. Pinot Noir Précoce is undergoing somewhat of a resurgence in Germany with about 647 acres currently planted in the Ahr and Mosel, where it takes a back seat to the more widely planted and more popular Spätburgunder. A few pockets of the relatively unknown vine are planted in England where it would seem very suitable to the very cool climate there. The Pinot Noir Précoce wine is typically vinified like Pinot Noir, but with less oak exposure. The grape tends to have slightly less acidity and tannins.